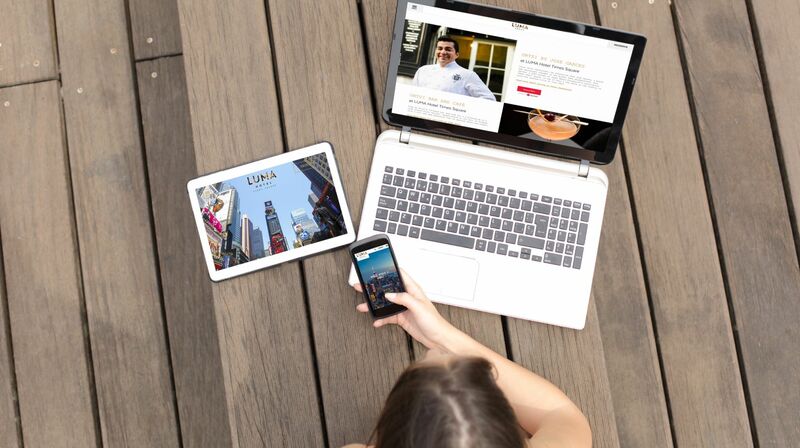 Our highly visual website solutions prompt the best user experience on desktop, mobile and tablet devices. HEBS Digital's award-winning web design and development expertise translates to hotel sites that craft a striking digital presence without compromising the essentials for driving direct online revenues: flawless user experience, search engine optimization (SEO) and lighting fast download speeds, all powered by our smartCMS® technology. This smart platform lets you put your customer data to work and engage past guests with one-to-one personalized messaging and future guests with innovative conversion modules—all while building meaningful relationships.